Eye On Tampa Bay: Downtown St. Pete moves front and center once again. Downtown St. Pete moves front and center once again. And you thought that Waterfront Master Plan was going to work for all of St. Pete. 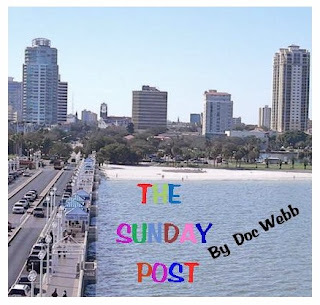 Tuesday March 15, yes its primary election day, the St. Pete Pier will move to the top of the Kriseman Administrations' Agenda. Barbara Wilks, from W Architecture and the Pier Approach Design team invite you to join them on Tuesday, March 15th at the University of South Florida Student Center. This is a workshop designed to hear from you as the design team presents conceptual layouts for the Pier Approach. Tuesday, March 15, 2016 7 p.m. – 9 p.m. Please note: start time for this event has changed to 7:00 p.m.
Free parking in the USF parking garage at 250 5th Avenue S. Levels 2- 5. There is no doubt in my mind that this will be a very well done, thoughtful and informative presentation with a detailed public input format. Over the years, City staff has become exceptionally good at putting these types of presentations together. The timing could have been a little better, but perhaps the Kriseman team hopes the presidential primary will keep the Pier approach a back-story from a media perspective. Since this presentation deals with the approach and building an elaborate and expensive front yard for the Vinoy and Beach Drive look for most of the usual special interests to be ready with a number of suggestions designed to enhance their property values. One of the things I find curious is for an administration that seems to be concerned about climate change and sea-level rise, the Kriseman team doesn't seem to be too concerned about spending $20 million on a development that could be underwater if the global warming people are even partially right. The new Beach Drive could be somewhere between 4th and 5th streets if the predictions are accurate. I have thought from the beginning that this whole uplands project is a waste of money, especially in light of the City's infrastructure problems, failing schools, south side crime problems and the fact that just over 30 blocks away kids cannot get a decent education. On the other hand, it does meet many of the Kriseman administrations' requirements: it is big, bright, shiny and makes the Chamber and the rich folks happy.